Expedition Purpose: Why Are We Exploring Johnston Atoll? 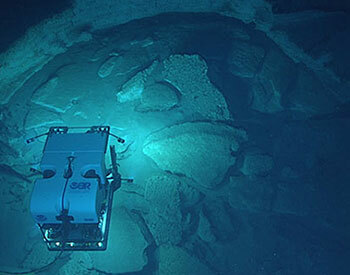 In January 2017, NOAA Ship Okeanos Explorer began her third and final year in an effort to investigate the rich biodiversity and dynamic geology in deepwater environments of the U.S. central and western Pacific Ocean. 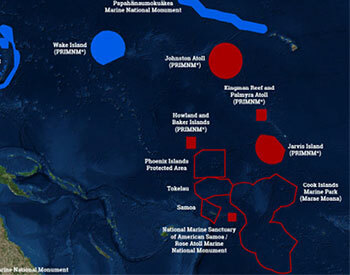 The purpose of this three-year exploration campaign, titled the Campaign to Address Pacific monument Science, Technology, and Ocean NEeds (CAPSTONE), is to systematically collect baseline information to support science and management needs within and around marine monuments and other protected places in the Pacific. The campaign serves as an opportunity for NOAA and the nation to highlight the uniqueness and importance of these national symbols of ocean conservation. The following expeditions cover topics similar to those of interest on the current expedition and includes an education component with associated lessons and other resources that you might find useful to classroom teaching and learning.